The historian and Irish patriot Laurence Mongey was born at Knockaderry, Co. Limerick on 13th June 1895. His parents were Thomas and Julia (née Forde). 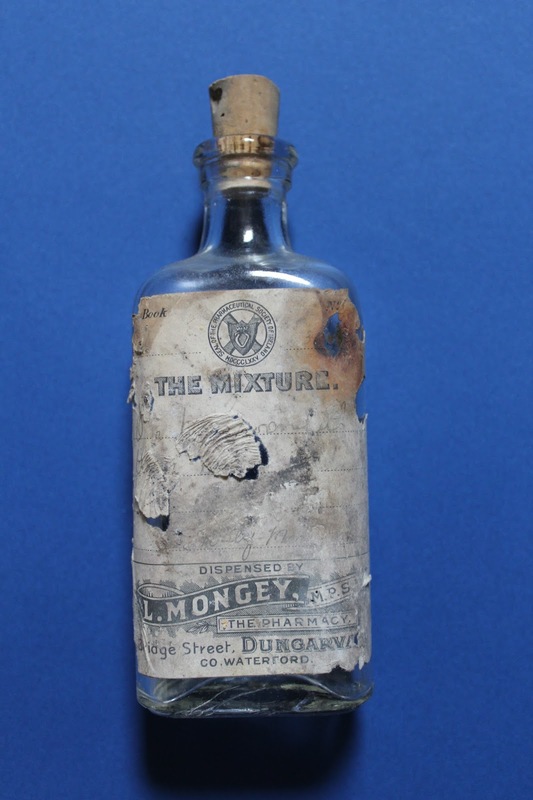 He attended Blackrock College and later trained and qualified as a pharmacist. 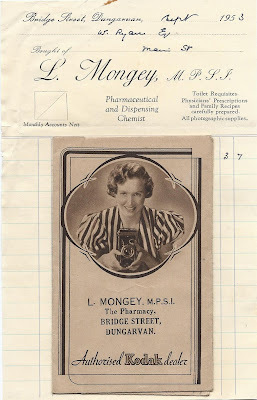 Mongey originally worked in Dublin. He joined the IRA and was involved in the War of Independence. He made explosives and was a 'first aid' man, i.e. he disposed arms at pre-arranged caches. He also operated in the South Tipperary/North Cork area under the name of Larry Lacy. He was excommunicated by Bishop Cohalan but was later re-admitted to the Sacraments by Bishop Russell. After the Truce, Mongey moved to Dungarvan, and worked at D.J. Nugent's chemists and pharmacy shop at Bridge Street. He took over the business when Nugent retired. Mongey was very interested in the ecology and archaeology of Co. Waterford. He compiled a list of ogham stones in the county. 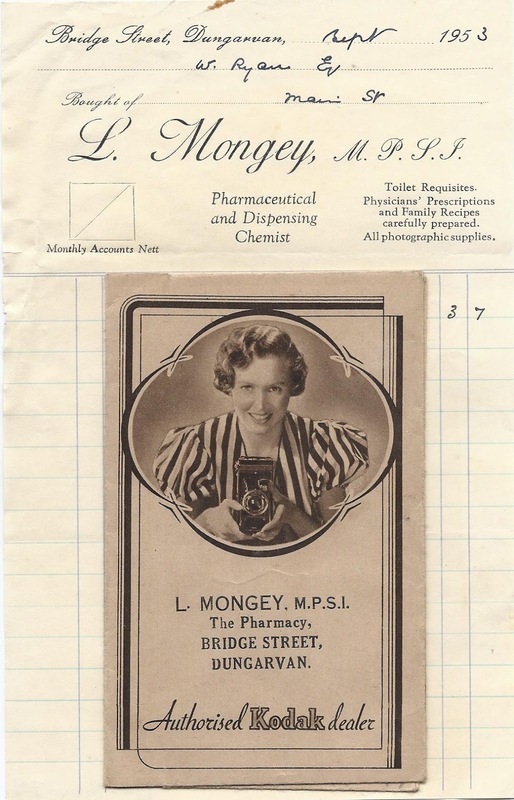 In 1938 Mongey assisted T.G.E. Powell with the excavation of the megalithic tomb at Ballynamona, Old Parish. Mongey photographed the various stages of the dig. In 1941 he published 'The Portal Dolmens of South-Eastern Ireland' as Vol. 1 of 'The Journal of the Waterford Spelaeological Society'.